Home / 2011 / October / 7 / Craft beer in Australia? Who knew? The next few posts will comprise my travel/beer diary as Bill of Beer discovers more of Australia and the beers they are brewing. 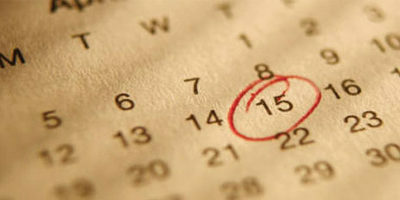 This is the first in a six-part series. A huge upset win from the Warriors over Melbourne and a spontaneous decision saw me make my way to Australia to watch grand final football and continue the search for good local beer in a whirlwind tour. My previous jaunts to the West Island had always disappointed me on the beer front with the widely available range lacking any real depth or distinction. My hopes this time had been buoyed by the large amount of craft brewers popping up and getting recognition all over Australia and especially from out of Melbourne, I was hoping some of this had made it to Sydney while I had been away. 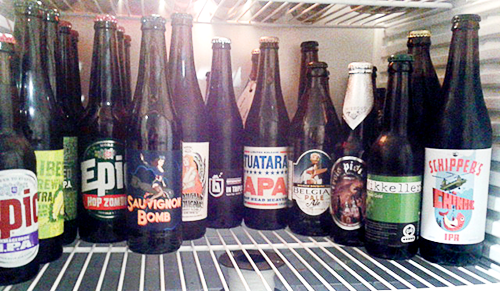 Fortunately, I had a man on the inside who stocked his fridge for my arrival with a visit to Dan Murphy’s. I must recommend a stop at Dan Murphy’s if you are in that neck of the woods, the range there is considerable and they are all over Australia. My mate, coincidentally Dan is his name too, had handpicked a selection of beers for our first night and gave me promises of the further treasures we would uncover during the beer tour he had planned for tomorrow. Lo and behold, I was pleasantly surprised to find his picks were better than the usual Toohey’s New and VB I was used to. 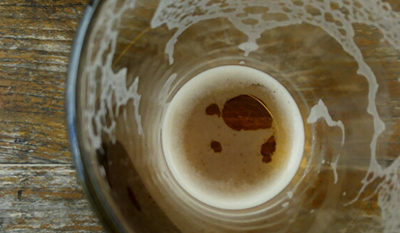 We made our way through a blonde, a pilsner, a white ale and a pale ale. Dan tells me pale ales seem to have made quite an impact in Aussie, when I was last here you would’ve had to search pretty far and wide to uncover anything other than a lager, but it now seems pale ales and wheat beers are the order of the day. 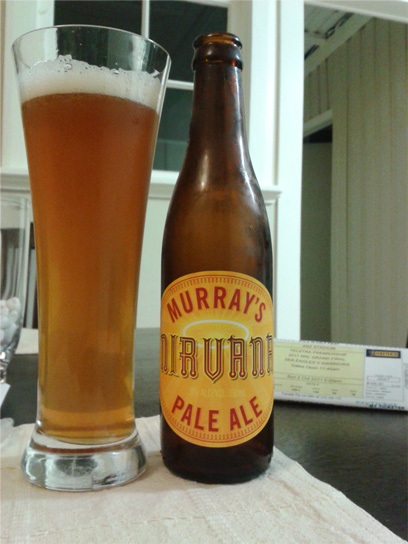 My ‘Beer of the Day’ had to go to Murray’s Nirvana Pale Ale on this occasion. Dan tells me good things about Murray’s (we visit the brewery later in the trip on an impromptu field trip).